This homa is performed in the location insisted by the Kartha , which is haunted by evil spirits or Tantras. This Homa is performed in the sandhi kaala (preferably during dusk). Lord Rudra is invoked along with Navagrahas and shiv ganas This homa has a prolonged procedure. It needs to be done under the guidance of an able pundit. High levels of sanctity are to be maintained and certain food restraints need to be followed before the Homa. For more details, please contact Pureprayer now. 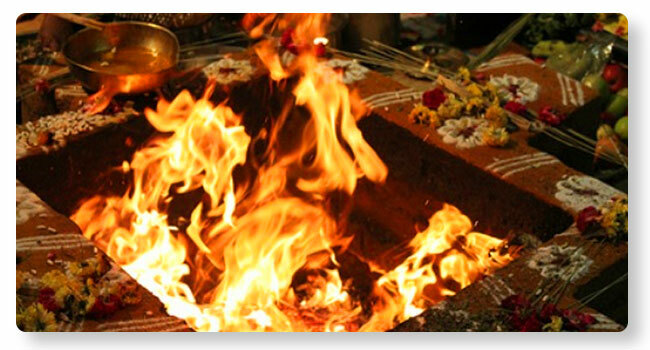 This homa removes the dangerous evil spirits harming at your place. Brings in the presence of Lord Shiva at the location and gives mental strength to the affected family.